Wow! 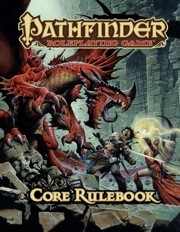 Perhaps the best RPG rules set available -- and free? The Open Gaming License is a model of what civilization is all about. I applaud you guys. I've used other gaming systems, most notably The Fantasy Trip by Steve Jackson and Runequest by Chaosium. (I own the Avalon Hill version, but never play it.) I tend to be a rules lite kind of GM. I stand up when I'm running the game and I roll dice all the time. If the roll looks good you succeed. If it's not good, you fail. Pretty autocratic, I know, but it's a game, fer cripes sake! Keep it moving. A few years back I bought a big d20 somewhere and it's become my go-to decider. I let the players argue with th result and tell me what skills they have to affect those middle ground rolls, but my instinct is to keep the story moving and don't get bogged down in the details. Of course some players and GM's like that stuff, and I play in a Hackmaster group that just loves to roll d1000's to determine the location and details of every blow. Just depends what flavor suits you. 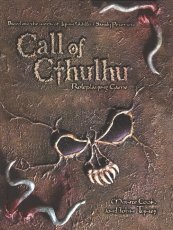 I was an early adopter of Chaosium's d100 Basic Role Playing ssytem, and I still own one of the original boxed sets of Call of Cthulhu -- the very fisrt print run with the brown ink. In fact I've purchased this game in at least three editions by Chaosium and the D20 version by the Wizards of the Coast. To be honest I don't like the latest version that Chaosium has come out with, but that just may be because they changed it for no good reason that I can see. There are a couple of Lite versions of the BRP d100 version available online, but no System Reference Document that compares to the Pathfinder link above. What I do use a lot is the SRD for D20 Modern from Wizards of the Coast. This fits well with the D20 version of the game and makes for a communal, easily accessible rule set. I've played a number of Sci Fi systems. I started out with Traveller -- the original by Marc Miller. Steve Jackson published a GURPS version of Traveller that was wonderful, and the current version by Mongoose publishing looks pretty good as well. I'm planning a campaign based on The Expanse TV show and the books by James Corey using the Traveller rules. 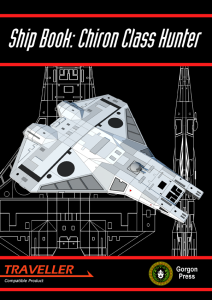 There's been a lot of unofficial support for the Star Wars universe as well, especially by GURPS fans, and it's available by the bucketful with a quick search. I have the original D20 Star Wars rules by Wizards of the Coast. I read that the Saga rules are much better, but how many books do I need to buy? Again there is no SRD for Star Wars, but you can use the D20 Future rules fairly easily with Psionics standing in for the Force.